Dr Rabindarnath Tagore as well as his nephew Abindaranath Tagore and his school of art dominated the cultural scene of India. There was no room for any other region to intervene in their domain. The story of Tagores and Chughtai is a long one. Suffice to say that interaction was inevitable between Bengal and Punjab. 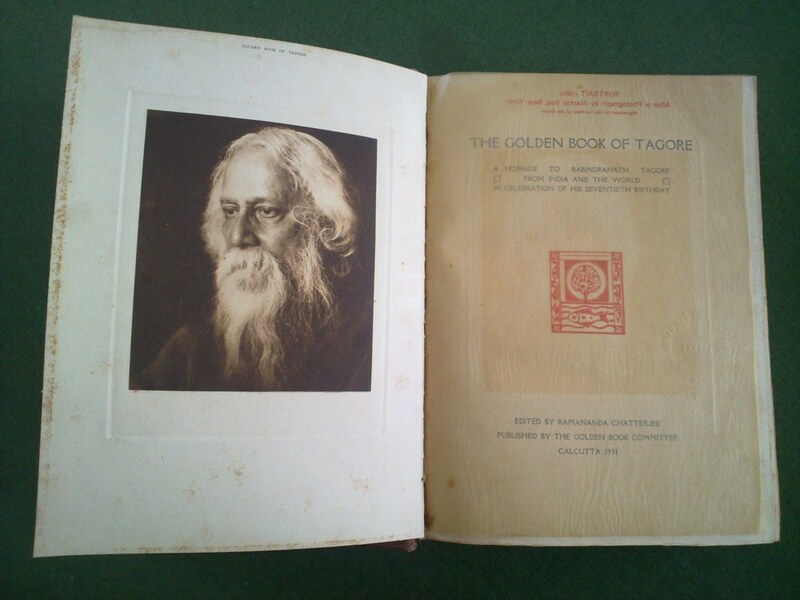 In 1931 to commemorate 70 years of Rabindarbnath Tagore an exclusive limited edition book, namely the GOLDEN BOOK OF TAGORE was issued, and the world sent their compliments to the poet. 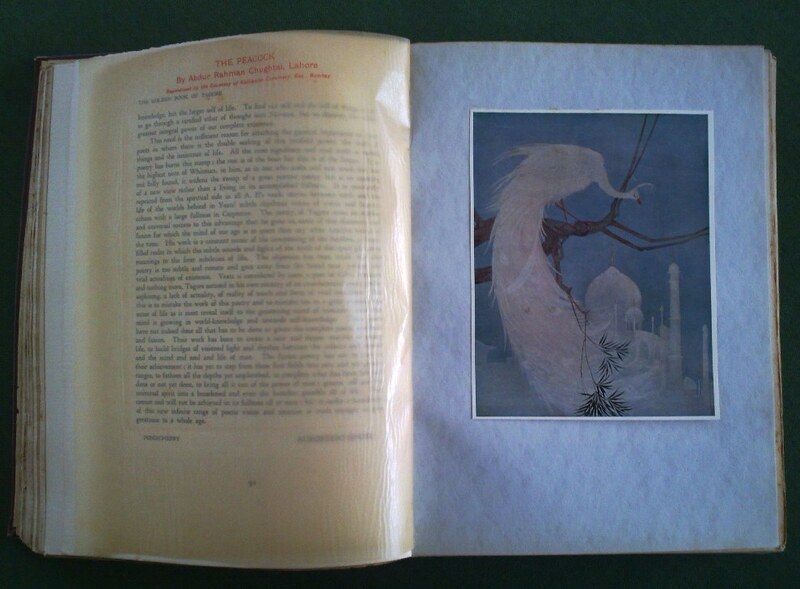 Abdur Rahman Chughtai also presented his tribute to the great Tagore by donating an image of the first version of the ‘Story-teller’ for the publication. It was strangely printed, when all chances were that it would be rejected. It is a historical document this book and in 1931, highlights the position of Abdur Rahman Chughtai in the scheme of things. 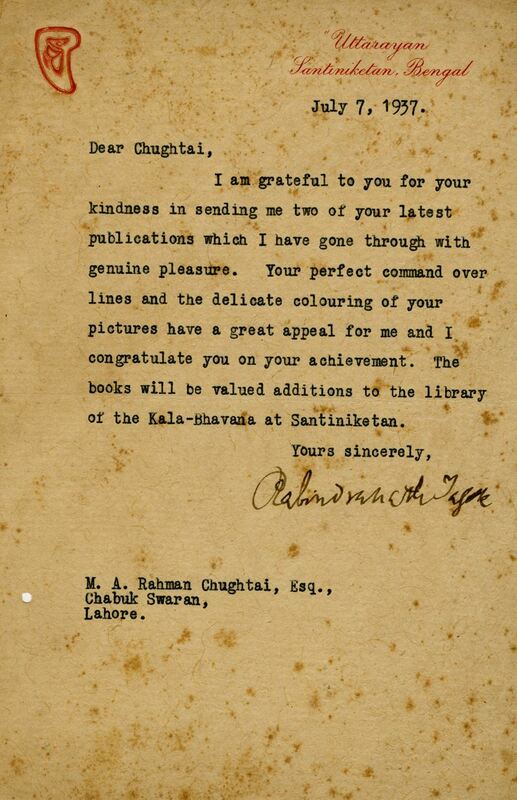 Dr Rabindarnath Tagore was also appreciative of the art of Chughtai and we see this letter in our archives and it gets exposed here. The summary of all this is, that however diverse the cultures, Art and Aesthetics have the power to unite nations, not in losing their own Identity, but in forging feelings of love. It is my pleasure to read a letter of appreciation and congratulation from Dr Rabindranath Tagore to Abdur Rahman Chughtai, a genius in art. Thank you for this information.